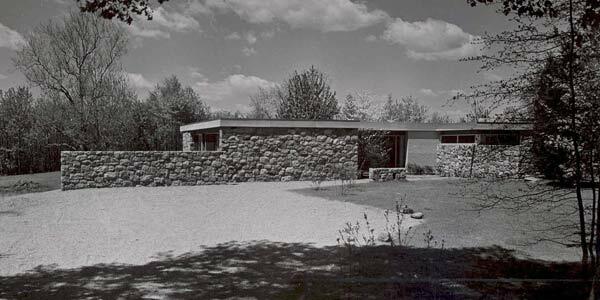 Yes, this is 628 West Road in New Canaan, known as the Breuer II house and it is for sale. Breuer I was built in 1947 and Breuer II was built in 1951. Breuer II is listed by Sherri Keilland of Houlihan Lawrence in New Canaan. This house can be shown to qualified buyers only by an appointment with the listing agent. 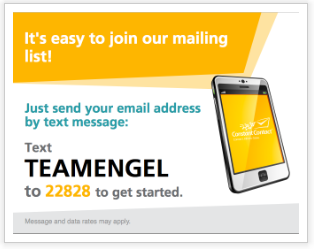 You can reach her at 203-966-3507. I recently had the pleasure of taking some of my clients to see this great house and it did not disappoint. Sherri could be the best agent at showing a house in all of New Canaan. Always on time, always prepared, she took the time to show the house and had it unfold for my clients in a way that really brought the house to life. With an encyclopedic knowledge of the midcentury moderns in general, and this house in particular, she took us through the history of the house, what was original, what had changed, and how Toshiko Mori had followed Breuer's original intent while bringing the house into the 21st century. My client was heard to say at the end of our tour, "This house is a bargain at the asking price." Indeed. 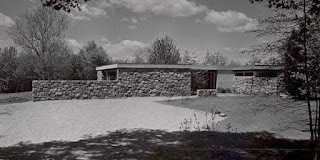 Here is a link to view information about Breuer II including maps of the property, photos and video. “The Breuer II house is an exceptional work by a master and commands a seven-figure premium over ordinary houses of the same vintage or size,” says John Engel, a New Canaan agent. Engel isn’t the listing agent for the Breuer II, but he has a deep understanding of historic properties in the area. 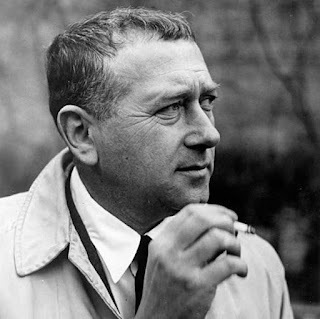 Breuer’s accomplishments are many. Born in Hungary, he began his career as a furniture designer and developed the “handlebar chair,” later known as the Wassily Chair, which is still being replicated and imitated today. His accomplishments include designing the Whitney Museum of America in New York City and the UNESCO headquarters in Paris. He was awarded the American Institute of Architects gold medal in 1968. This is the Pirelli tire building in New Haven, now owned by IKEA. 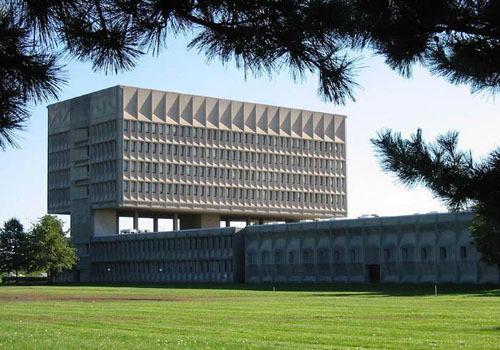 It is a Breuer masterpiece and no, it is not for sale. 1. Condo sales are down from last year. That's because there is so little condo inventory. Correction: 14 condos came on the market in June to bring us back up to 38 condos for sale, up from only 24. 2. Sales are up in 2015 because of a strong June and strong 2nd quarter. That's because winter was late and harsh and it backed up the Spring selling season. 3. Median price has been unchanged since last year. 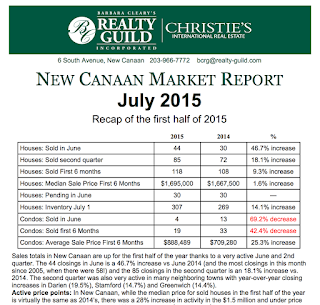 That is consistent with Zillow's estimate that New Canaan is growing at a 1.5% rate. 4. New Canaan, Darien, Greenwich and Stamford all experienced an uptick in sales volume this year. Wilton and Rowayton are showing a decrease in sales versus this time last year.